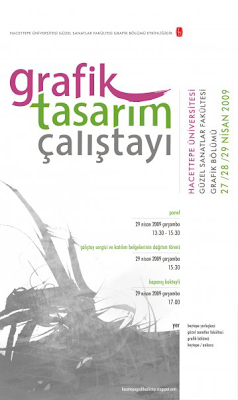 Info: Hacettepe University Faculty of Fine Arts, Graphic Department is organizing the second graphic design workshop which has been done in 2009 for the first time. The aims of the workshop are to take into consideration and make well-rounded researches in education, encourage to raise goals, to create higher-level designs in short time period, to have an atmosphere for interaction and to form an ambience for sharing ideas. The studio custodians, panelists and the people who will participate to the colloquium will be announced by the Executive Board. 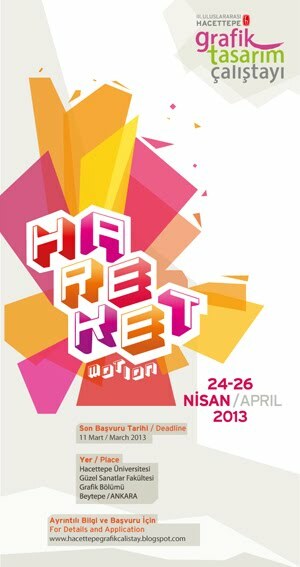 Workshop will be exhibited at the Art Gallery of Hacettepe University Faculty of Fine Arts, and the studios of the Graphic Department. Purpose 1 (General): every day, in the universe of art, design and communication, the importance of the “Graphic Design” is increasing, this workshop will bring the students, the instructors (that are in the field of education and working in Higher education institution) and the professionals together with the panels, colloquium and workshops. 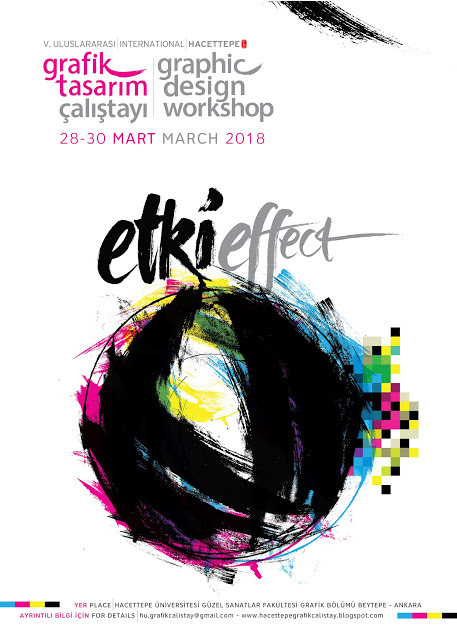 In this manner, the workshop will create an environment to discuss the problems of the graphic design education and the production and to generate an archive with the final works of the workshop. Purpose 2 (The Event): Graphic designers / artists / illustrators will discuss and create artworks with the indispensable language of line, drawing, and illustration in every aspect (education, concepts, applications, etc.). All the expenses of students (transportation, meals, accommodation, design materials, etc..) will be covered by themselves or own institutions. The participants, can bring materials to be used in drawing and painting, in case of need, also can bring their personal computers. 3rd and 4th class students from the Universities that provide Graphic Design Education may apply. Submission is limited. Deadline is April 12, 2010, Monday.